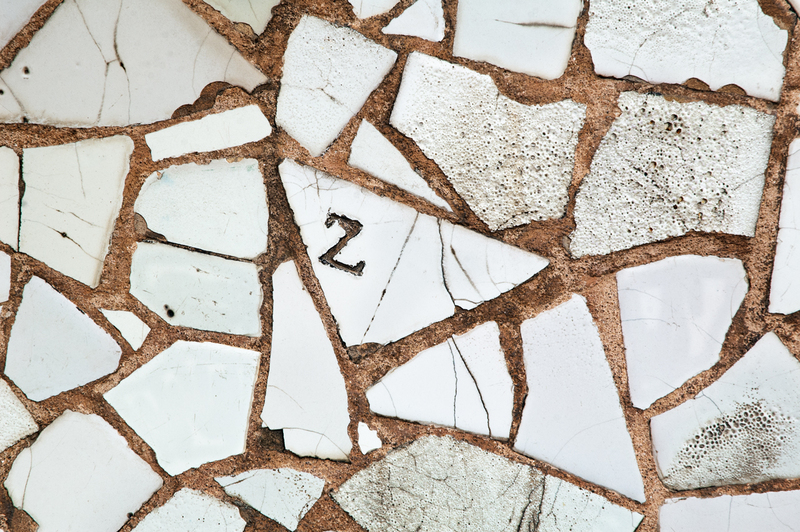 Shards of tile, irregularly distributed creating harmony out of an apparent mess. Somewhere some symbols may be found left behind by the artist on the tile. This a detail of one of those chimneys on La Pedrera or Casa Mila's roof. If you want to see how trencadis looks here is an arch found on the same roof. Soon, more details. What an intriguing image, Carlos. I could look at it for a long time and still find new aspects of the design. It is wonderful that you are now offering the capability to send your images as ecards, and buy or print them!